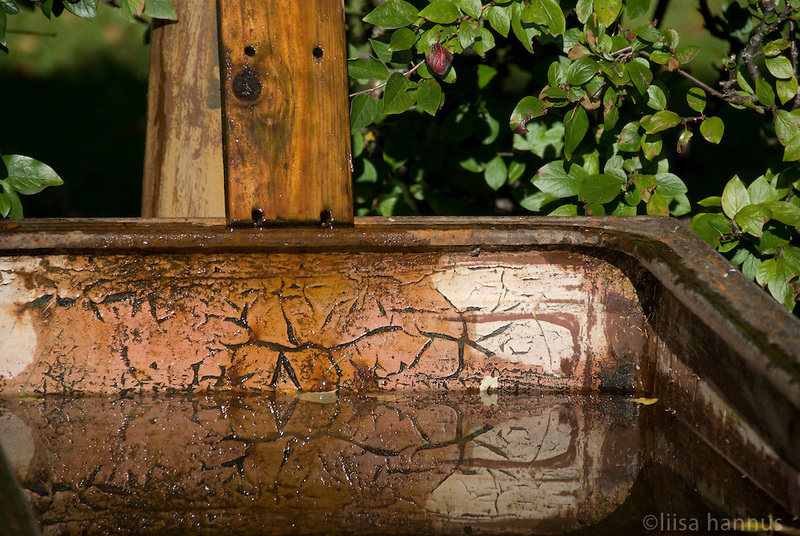 Designs created over time are relected in the water in this trough at Skogskyrkogården, or The Woodland Cemetery, in south Stockholm, Sweden. Water troughs like this one are located throughout the cemetery for the use of friends and family to water the plants and flowers that adorn the gravesites of their loved ones. Following Swedish tradition, most burial sites are planted with flowers or small shrubs and it is the responsibility of the family to maintain the site.